Wherever positioned, reading nooks are well-lit spots with comfy seating where to spend some time with your favorite book. Spending some time with a good book is one of the best ways to unwind after a hectic day. 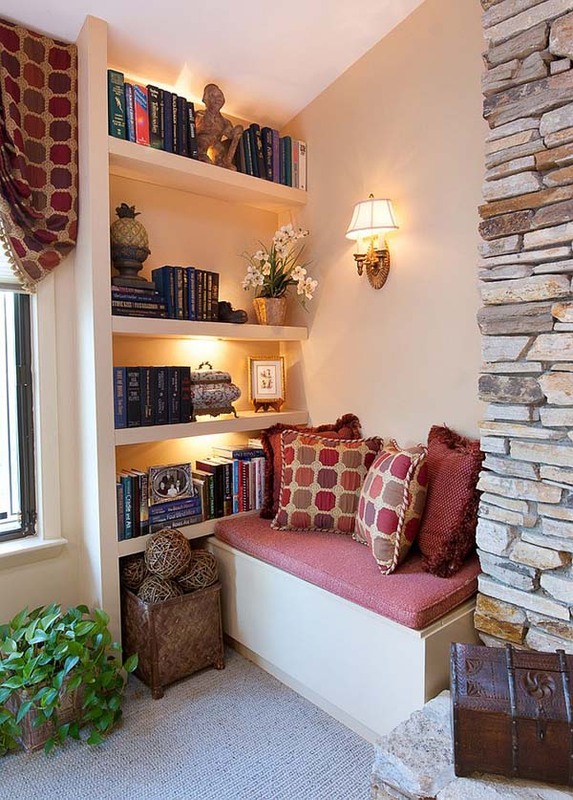 Whatever you choose to read, your reading nook is a secluded, well-lit spot, which celebrates tranquility. 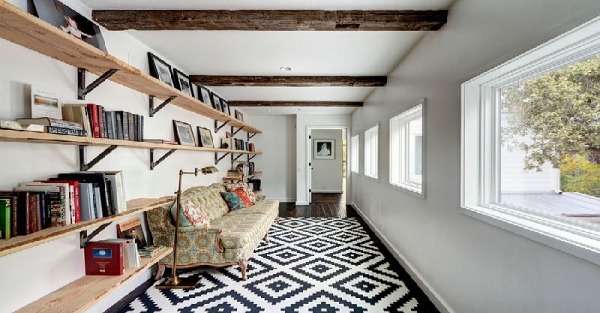 Although reading nooks usually take little space, they still can reflect your personal style and taste. There are endless options to create your reading heaven, your only limit is your creativity and imagination. 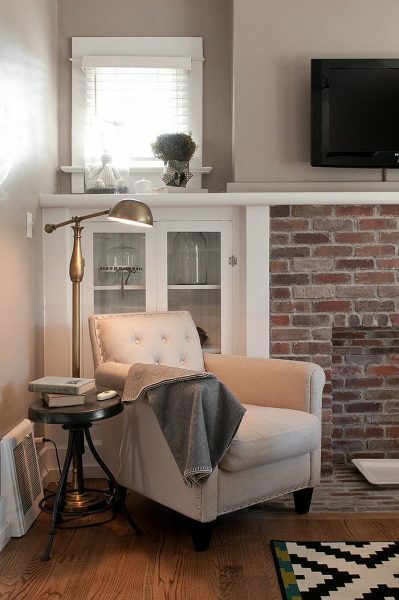 However, follow some essentials to make an appealing and truly comfy reading nook. 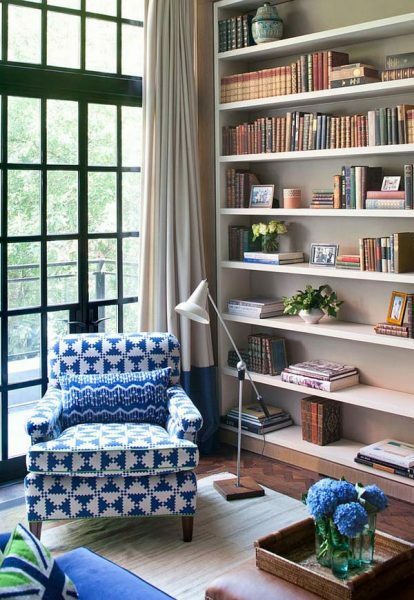 Often an unused corner in your bedroom, living room, or even kitchen can be turned into a perfect reading spot. However, before choosing the spot to transform, make sure that it will blend in with the existing style and theme of the room. Your prime consideration should be the level of privacy this spot offers. The above-shown space is cozy, inviting, with tons of personality. Don’t you dream to spend some time in privacy is a similar spot? After choosing the spot, focus on seating and this isn’t just about picking a chair that you really adore. Think about a window seat with throw pillows, a secluded attic nook, or a formal comfy chair along with a simple table and bookshelves. Another question to address is the shelf space. Obviously, it depends on the overall space available, as well as on the size of your book collection. Think in perspective because your book collection will grow in years to come. However, there is another approach: your books can be kept in a home library or exclusive display and you can carry those you currently need to the reading nook. Smart lighting in any reading corner is all about a blend of form and functionality. Combine ambient and focused lighting to provide the right amount of light for a comfortable read. As shown in the picture above, floor lamps are often the preferred choice for task lighting. If you want to save up on space, opt for some stylish pendants. Any reading spot without a table is both inconvenient and incomplete. If space is your biggest issue, opt for a tiny round table or a floating table fixed to the wall. 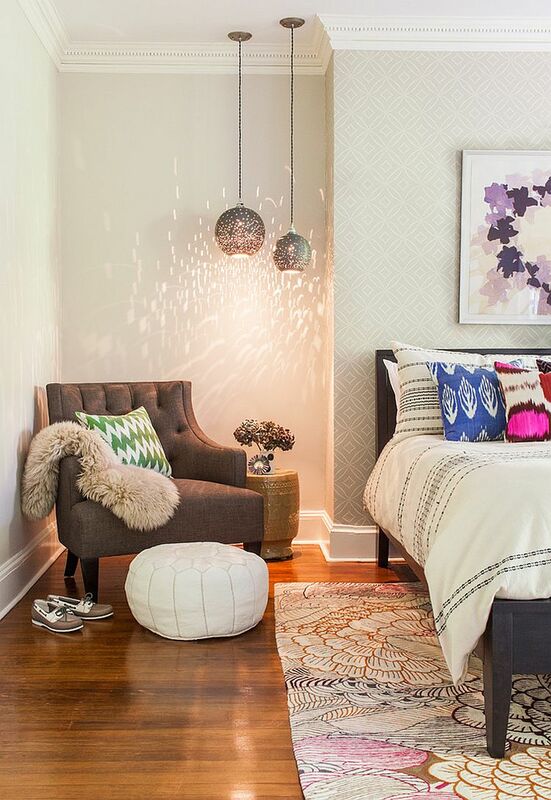 For additional layers of comfort, add a plush ottoman, a lovely rug, some throw pillows, or even blankets. Look at the above-shown reading nook. It is all about functionality, style, elegance, and sophistication! Add some personal touches for extra charm. Wall art, family photos, inspirational quotes from the books you enjoy, and favorite potted plants are only some of the options. 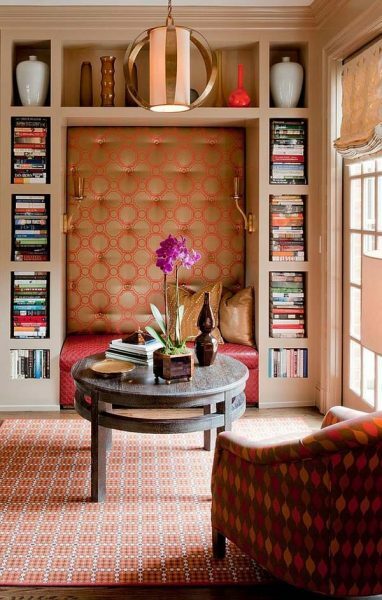 Think beyond the box to create a reading corner that stands out in the room in a strong yet subtle way.